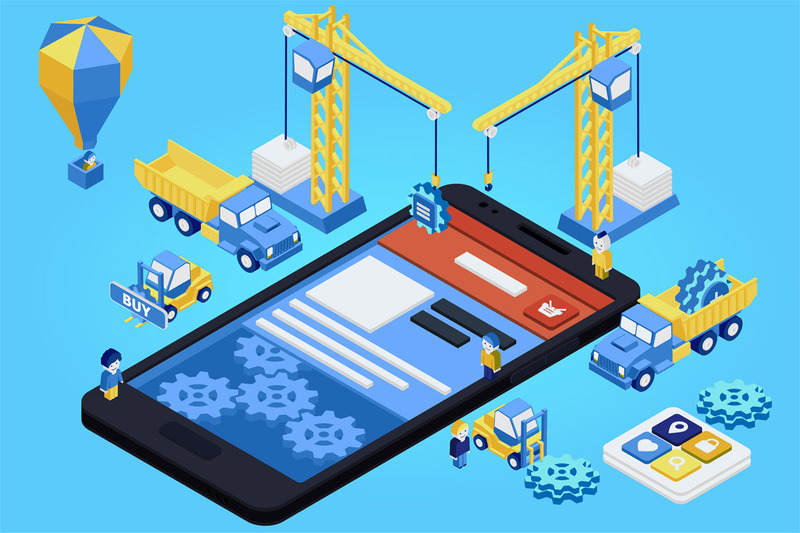 When it comes to building a mobile app for your business, there is one main question that you need to be answered, how long does it take to develop the app? There are over 5 million apps in app stores, 3 million apps available in Google Play Store and around 2 million apps in Apple’s App Store. 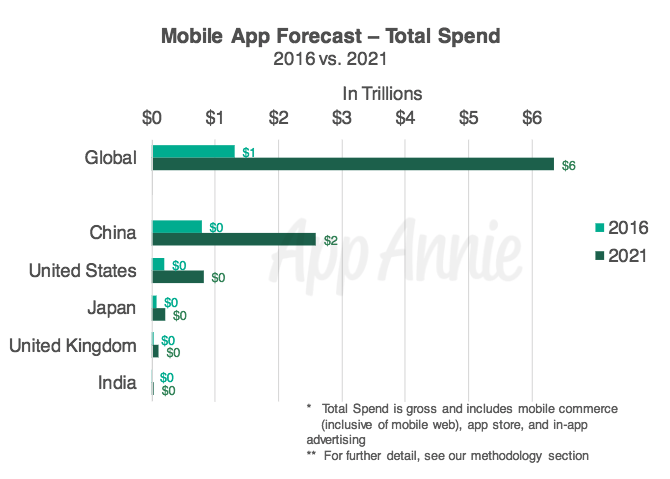 Appster states that app revenue is estimated to reach approximately $200 billion by 2021. In this digital age, every business needs to have a mobile app, no matter the business size. A business app can transform your business entirely and increase your revenue. Before getting into cost and development time, let’s go through why your business would need a business app. Increases your customer base by making your business more visible. Instead of only getting customers that walk into your business, through marketing, or through your website, your business app will be a new portal customers can find and interact with you. Improves your brand image. Having a top-quality app for your business will help boost your brand, and it’ll put you in league with your competitors. Customize our app to include your logo colors and have features that are exclusive to you and your customers. Making your app, your own will allow customers to interact more with it, recognize it with use, and maybe even promote it to their friends. It can be an essential marketing & sales tool. One great thing your app can do for you gives you extra exposure. Instead of only using email marketing to promote your offers and discounts, you can now develop a push notification feature in your app and send your deals directly to the customer’s phone. All of the large apps like Facebook, Instagram, or Amazon have push notifications to keep you up-to-date with all the recent news. Integrate your app into your loyalty programs. By creating an exclusive reward system or points system, you’ll encourage customers to purchase your products online and will easily be able to drive more traffic to your app and possibly your website. You need to take advantage of all your sales tools to get the most revenue possible. Better UX experience. With a mobile app, your customers (old and those that are curious) would easily be able to navigate through your products, find out your deals, add items to their carts, and even contact you if needed. Also though this is something they can do through your website, many websites are not mobile friendly and can frustrate customers. Bringing your business right between their hands with an optimized and smoother experience is a far better option. When your customers reach out, your app will be the first gate they try, not your phone number, website, or business location. Get customer insight you can’t get from in-store walk-ins. There are multiple features you can develop in your app to find out customer preferences, like checking the most searched items or purchased items. You can also get feedback on your products with a pop-up review/ rating feature. Learning these preferences will help you improve your app, product, services, and what to focus on. Take your business to a global scale with a mobile app. This advantage will go to great lengths with startups or small to medium-sized businesses. A mobile app means you are no longer tied down to your local market or country. You can start a customer base in a different region of the world without needing to relocate. Boost your business to an international level with a groundbreaking application. Now, how long does it take to develop an app? Many factors go into defining how long it’ll take to build an app, like budget, features, skills, and more. But the general time it takes is from 4 to 6 months. This doesn’t mean it can’t take longer or less than four months to develop an app. Google Play Store and Apple’s App Store are filled with tons of apps that are underdeveloped, too complicated, or of bad quality. This is the general time the whole development process takes like creative brainstorming, designing, developing, testing, and polishing. If your goal is to create an app with quality like Facebook or Instagram, this isn’t a task that gets done overnight. These apps took years to perfect and have dedicated developers working on them and improving them until today. Your mobile app will always be under constant development to keep up with the latest technology trends, for updates, and any maintenance. But to develop and launch a functioning MVP into the app market, it should take a few months. What are the factors that affect development time? This is a factor many forget to consider when calculating development time. But before getting into development, you need to break down your product and do your research. It is critical to understand your target market, study competitors’ apps, define market size, set your feature list, and ensure your app aligns with your business goals. With a clear roadmap from the start, you can save yourself weeks of researching and gathering information later on during development. 2- Who is developing the app? If you’re an entrepreneur with an app idea, then you’ll need a development team to build your app. But if you’re a designer or developer and want to develop the app yourself, it will usually take more time. Why? If you’re a designer, you’re probably good at your niche and want to put that into building your app, but you’ll have to find someone to do the coding and vice versa. If you’re developing the app yourself to save money, it won’t only take a long time because you have no prior experience, but you’ll require a lot of external help and end up paying anyway. So what is an alternative solution? Freelancers: The freelance platform has a lot of business and for a good reason. It’s flexible and in most cases cheaper than what you’ll find with development agencies. But opting for the cheaper isn’t always the best option. With freelancers, there is no guarantee that the app will finish in time or that it will be delivered at the best quality. Freelancers in Europe or Asia can cost as little as $25 per hour which makes it an appealing choice. But with the lack of communication, getting results in time can be difficult especially without project management or tracking work progress. Connection is vital in development, getting your front-end designer and backend developer to work together will be time-consuming, and the numbers will eventually add up. In-house development team: You’ve probably asked yourself why not just hire a designer and developer (or your team) and track their work? Besides the reason that it’ll cost you a lot more since they’ll get salaries and aren’t paid by the hour, it’ll take longer to finish. To find qualified candidates and the right hire alone can take months, besides the development process. With a development agency, you get a whole team of experts to build and enhance your app. Development agency: A development agency is the best option if you want a top-performing app. Even though it is believed that a development agency costs too much and is only for big companies, there are many agencies like Softxpert dedicated to catering to small business needs. Before getting into anything, you need to understand what your technical needs are and what features you want in your app. Many businesses mistakenly think the more features, the better the app is. But in reality, it’s the opposite. Your prototype shouldn’t be complicated or have too many features; you need to stick to the key features. Looking into your competitors’ app or learning about the latest trends can be tempting to add more to your app, especially if your budget allows it. But the more features you add, the more time it’ll take to develop your app, and of course, the more it’ll cost. You should also avoid complex features like third-party integration that require a lot of development and testing. Another primary point you need to make clear from the start is what platform will you launch your app on. The two most popular phone platforms are iOS and Android. Why not develop on both platforms? Because each platform has its developing process so development time will be twice as long. Developing an Android app takes longer than an iOS app because of the multiple devices and different screen sizes of Android devices. And so, developing an app for Android takes 20-30% more time than it does for iOS. Most businesses start with one platform depending on their target market because it’s less expensive and won’t take as much time. For example, if your target is the US then developing an app for Apple’s App Store is the better choice. The development process includes the whole development from the wireframing to the testing stage of the app. To avoid wasting time and get things done fast, the frontend developers and backend developers need to work hand-in-hand and communicate clearly. As frontend developing is responsible for the visual experience for the customer like wireframing, UI design and development, and polishing, backend development handles data storage, push actions, user management, and overall UX design. And since one can’t exist without the other, it’s critical that they work together. After the app designers do their part, the developers take action to bring it all to life. The development itself takes most of the time in this process; it can take up to months to finalize. Lastly, the testing stage begins which includes Beta testing actions like performance, functionality, and stress tests. This active phase should give you an idea of how a regular user would experience the app. Then we move on to Alpha testing which should reveal any big bugs or defects that need fixing before launching. Your set budget can make a massive difference with development time. No one can deny that building an app is expensive; the longer the development time, the more you spend. Knowing what your budget is from the start can help you set up your development plan, define your feature list (avoid complicated features that take too long), and hire developers or an agency. If you’re on a tight budget, you need to limit your features, if you can afford to enrich your app with more features, then don’t forget to consider the extra time it’ll take. What is the app type? Almost all business apps are native apps because it is the best app type regarding functionality, features, and user experience. But it is also worth mentioning that if you need a simple, small app that can be built in 3-4 weeks, you can develop a hybrid or cross-platform app. Even though it works on both platforms, it is inferior regarding features and advancement so is rarely used anymore. Developing a business app is a long and challenging process, it isn’t something that can be rushed or patched together. When setting your timeline, you need to be flexible and leave room for setbacks and mistakes. One important thing that will drastically make a difference in your time is picking the right team to work on your project. With a development agency, you’ll get a full set of skills with previous experience and updated knowledge to develop your app. It is also the safest option because you’ll have direct access to the agency and will be up-to-date with all the latest developments. This leaves little room for error and wasted time, saving you money and effort.